The Geographical Society of Philadelphia has presented for over 125 years the most daring and famous world explorers. See the list below and the legacy of the Society! 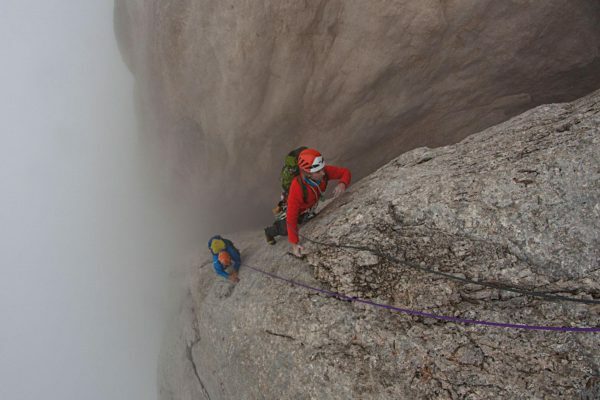 Don’t miss the 2019 Legacy Event and meeting the explorer of the year. 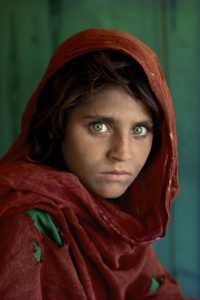 Steve McCurry was catapulted to fame with his iconic photo of the “Afghan Girl” – the young, Peshawari refugee – which first appeared on the cover of National Geographic in 1985. He achieved unparalleled excellence in photographic journalism, in a career that has spanned decades and crossed borders of some of the most war-torn regions on earth. Steve was honored at the Union League of Philadelphia on August 29, 2017, with over 350 guests. Explorer extraordinaire, Erik Weihenmayer, who has been blind since his teenage years, conquered mountains (including all of the Seven Summits! ), and so much more. 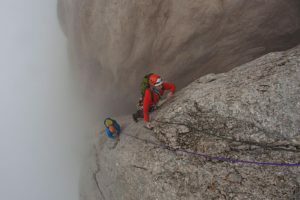 This accomplished climber, paraglider, skier, and kayaker shared his unique “vision” of the world and his amazing stories of adventure. Over 400 attended the Free Library of Philadelphia to see Erik honored on February 7, 2016. In 1915, Theodore Roosevelt spoke to a sold-out audience at the Academy of Music. His talk, The River of Doubt, described his dangerous exploration of the Amazon River. 100 years later, this Annual Dinner continued the legacy by honoring Paul Rosolie for his exploration of the Amazon River. A Brazilian feast was prepared at Chima Restaurant in Philadelphia on November 10, 2015. 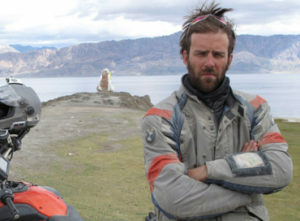 Ryan was the first to circumnavigate China on a motorcycle. He presented four film clips capturing the different regions of China, which were complemented by a delicious course of Chinese cuisine at Jane G’s Restaurant. Very few chefs worldwide are acclaimed with the title, Iron Chef. 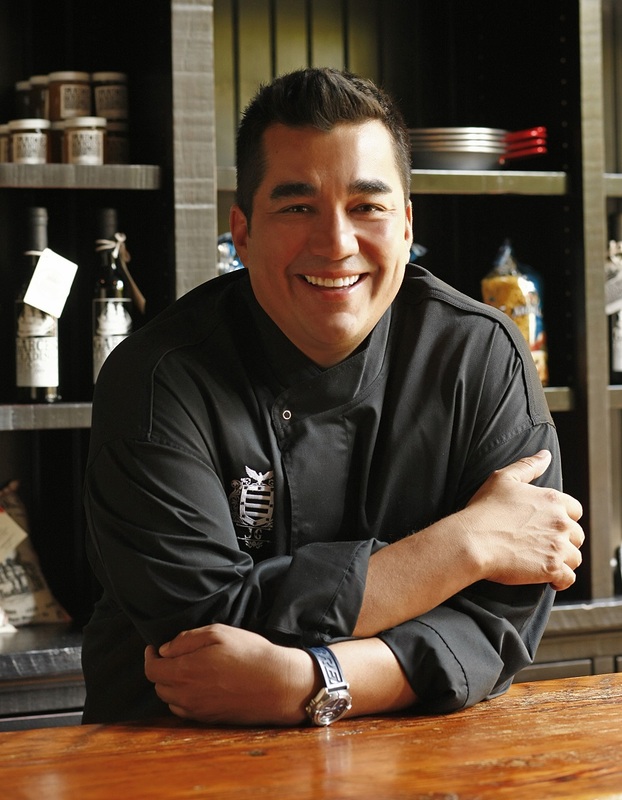 The Geographical Society invited guests to wine and dine with Philadelphia’s own Iron Chef, Jose Garces. He selected a five-course feast from his favorite recipes of Ecuador, Peru, Chile, Mexico, Cuba and Spain. The delicious dinner was held at his JG Domestic Restaurant in the Cira Centre Building on September 17, 2013. On January 16, 1913, the three most famous competing polar explorers, Roald Amundsen, Robert E. Peary, and Ernest Shackleton, came together to be honored by the GEO. The historical night was created exactly 100 years later on the same day in the same room at the Bellevue Stratford. While the 1913 menu featured dishes like “clear green turtle in cup and roast guinea fowl in currant jelly,” this grand event’s culinary selection was updated to more contemporary delicacies. 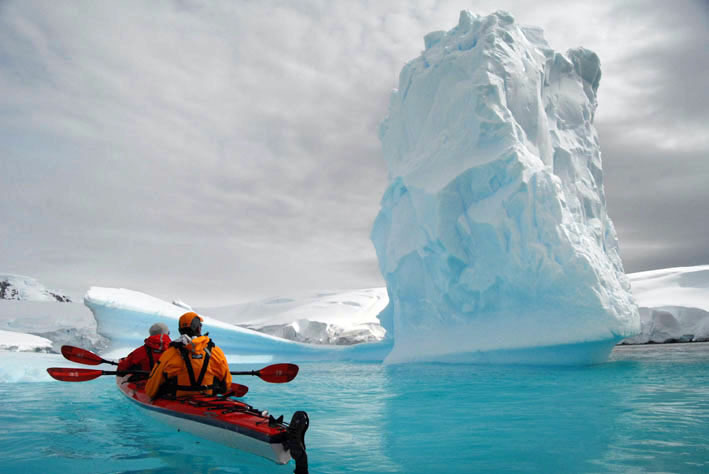 Guests enjoyed the daring travel of National Geographic Adventurer Jon Bowermaster’s six-week exploration of the Antarctic Peninsula by sea kayak, sailboat, foot, and plane. They enjoyed his tales and the award-winning film,‘Terra Antarctica,’ documenting the expedition. Diana Nyad, the Queen of the Oceans, told of her Xtreme Dream – to swim from Cuba to Florida. In the 1970s, Diana set a number of open water records and was the first known woman to circle Manhattan. She has led a dignified career as a sports commentator for ABC’s Wide World of Sports, Fox Sports Television, and as a travel writer for National Public Radio. Guests enjoyed hearing of her attempt at 61 years of age and the special footage captured by CNN. 12th Street Catering prepared a Cuban feast at WVIA stations on November 12, 2011. Traveling was changed forever and the man who changed it was Arthur Frommer! Guests enjoyed meeting the traveling legend who at 80 years old still is lending the best travel tips in books, blogs, articles, and interviews. His daughter Pauline Frommer joined him as she takes over for her legendary traveling Dad. GEO welcomed this unique father/daughter team for an evening of outspoken and entertaining commentary on travel at Hyatt at Penn’s Landing. GEO commemorated the dinner hosted 100 years ago to honor Peary for reaching the North Pole on April 6, 1909. It was at the same location, the at the Bellevue’s elegant Rose Garden. Michael Robinson, the author of The Coldest Crucible: Arctic Exploration and American Culture, spoke on “Arctic Fever.” We joined celebrity guests at this glacially “cool” event which included selections from the 1909 dinner menu, re-created by the hotel’s executive chef. The Geographical Society and its members were strong supporters of Robert E. Peary’s explorations, including the Auxiliary Expedition of 1894 which returned crew members, Mrs. Peary, and her infant daughter to the U.S. Peary was awarded our Elisha Kent Kane gold medal in 1902 and this specially-struck gold medal (right) for his attainment of the North Pole in 1909. The program included a brief reenactment of the gold medal award ceremony and a speaker on Arctic Fever, then and now. Robert McCracken Peck, Senior Fellow at The Academy of Natural Sciences, impersonated Robert E. Peary. (He is a descendant of attendee James Mapes Dodge.) The current Geographical Society President, G. Theodore Burkett, portrayed Henry Grier Bryant, the President in 1909. The Arctic Fever speaker was Michael F. Robinson, author of The Coldest Crucible: Arctic Exploration and American Culture, winner of the 2008 Prize of the Forum for the History of Science in America. He was available to sign copies of his book. In 1911 two explorers set out to reach the last “unreached” place on earth. With teams of men, dogs, and ponies, Roald Amundsen (Norway) and Robert F. Scott (England) struggled to become the first to arrive at the South Pole – a feat requiring years of preparation and months of exhausting travel. Todd Carmichael, nearly a century later, set out in November 2008 to become the first American ever to reach the South Pole solo and unassisted, to plant our nation’s flag. There was no support crews, no animals, no machinery, no additional food or supply drops, no one to help – but he used high-tech equipment with capabilities far beyond the dreams of his predecessors. This special night was held at the Union League in March 2008. In mid-1972, Tony and Maureen Wheeler set out on a year-long trip around the world with the intention of getting the travel bug out of their systems. After following the “hippie trail” from England across Asia to Australia, they recognized the need for a new sort of travel guide to suit the new breed of laid-back, independent travelers. More than 30 years later, they are the owners of one of the world’s largest, most successful, and best-loved independent travel publishing companies. 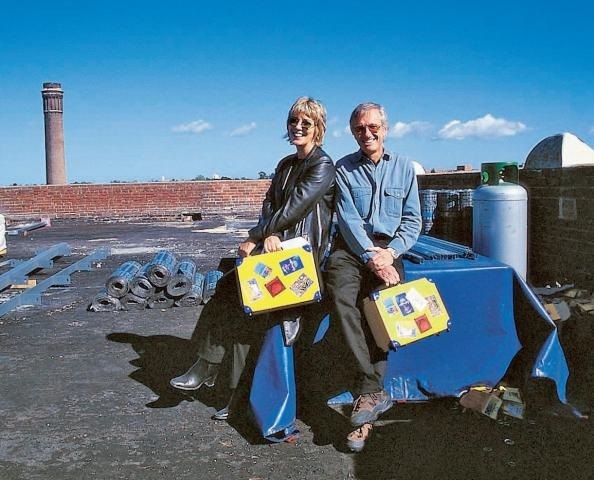 The Wheelers, from Melbourne, Australia, showed favorite images and related their story as told in Unlikely Destinations: The Lonely Planet Story — a lively mix of autobiography, business history, and of course, travel! Honored at the Union League in June 2007.